In a stunning turn of events, Kevin Durant has decided Monday to leave the Oklahoma City Thunder to join the 73-win Golden State Warriors. Marc Stein of ESPN is reporting it's a two-year deal for $54.3 million and the second year is a player option. This is obviously a move of historic proportions. The best regular-season team of all-time just got significantly better, and an Oklahoma City team that was right on the cusp of becoming the best team in the world itself is now officially scrambling. You could argue that on any given night either Durant or Curry is the best scorer, or just flat-out best player on the planet, but Durant's scoring over the years has him in truly historic company. For his career, he averages 27.4 points per game. Most players in NBA history are lucky to do that once in a season. In fact, only 51 players have averaged at least 27.4 points in a single season. Durant has done it six times, trailing only Michael Jordan (11x), Oscar Robertson (8x), Kobe Bryant (7x) and Wilt Chamberlain (7x). Durant has the third highest career scoring average in NBA history behind Jordan and Chamberlain. All the more devastating is the efficiency with which he does it, which will fit in seamlessly with this equitable Warriors attack. 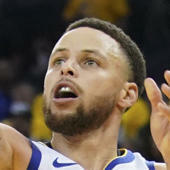 Of the eight players in NBA history to average at least 25 points for their career, Durant is the only player to crack a 60 percent true shooting percentage. Throw Draymond Green on the back end as a fourth (!) option, and seriously, how do you deal with all that firepower? The Warriors can't retain Barnes and bring Durant to the team, so it means they will not be matching any offer sheet to Barnes in his restricted free agency. Barnes has been a part of the infamous "death lineup" and has turned himself into a reliable 3-point shooter. He was also a fairly good defender when it came to battling power forwards and could hang with most wings when he was locked in. The Philadelphia 76ers and Dallas Mavericks will probably be the front-runners for his services, as long as they're offering a max deal -- which the Mavs have said they plan to do. In Dallas, Barnes would have the opportunity to play next to Dirk Nowitzki (assuming he re-signs) and Wesley Matthews, but the rest of their team is pretty thin. Dallas has struck out on a lot of free agents over the years, so making Barnes its first big signing of the summer and second big signing in two years (Matthews) could be significant, especially with the departure of Chandler Parsons to Memphis on a max deal. Meanwhile, the Sixers could add Barnes to a young core that features No. 1 overall pick Ben Simmons, Jahlil Okafor, Nerlens Noel, Joel Embiid (if healthy), Timothe Luwawu, and possibly Dario Saric as well. He could come in right away and be the starting small forward, and even their No. 1 option on offense. That could either springboard him into another class or expose him as the guy who can't function without stars around him taking up all the defensive attention. The Warriors need to finagle their money situation a little bit. They can use the stretch provision on Andrew Bogut and waive Shaun Livingston to clear some money. Or they can outright trade Bogut to a team in need of a center but not wanting to commit $64-72 million over the next four years like a lot of teams are having to do in free agency. Maybe even the center-less Mavericks would be willing to take him for a year as a fill-in. If they don't move Bogut, they'll have to move Andre Iguodala, who has become a star playoff defender on the wing the last two years. While he was eviscerated in the final three games of the NBA Finals, Iguodala has been one of the best defensive options on LeBron James we've seen in a playoff series. He's also been great for the Warriors in keeping versatility on the floor and allowing them to go small. His shooting is a bit better (although it's been a lot of open shots on the Warriors) and his passing is great for getting teammates quality shots. Bogut would be the most likely to go. They just drafted Damian Jones from Vanderbilt with the last pick in the first round. They'll need to find another option inside with the subtraction of Bogut and renouncing Festus Ezeli's free agent rights. But it's a decision they have to make in order to fit Durant in. Before agreeing to sign with the Boston Celtics, Al Horford reportedly stopped considering trying to find his way to the Oklahoma City Thunder because he couldn't get a guarantee that Durant and/or Russell Westbrook would be there long-term. That could be because he thought Durant was going to the Warriors. Or maybe it's because he thought Westbrook is going to leave the Thunder in 2017. If Horford got that sense from Westbrook, then it's safe to say Durant got that sense as well and that's at least part of the reason he's chosen to leave. Maybe that's reading too much into the situation with the rumors swirling around, but Westbrook's future in Oklahoma City is now in more doubt than it ever has been. The Thunder have another year with him unless they decide to get out in front of a possible mass exodus of stars and trade him to a team to secure a lot of assets that could accelerate a quick rebuild. Sam Presti already has Steven Adams, Enes Kanter, Victor Oladipo, Domantas Sabonis and Cameron Payne for recreating a young core. Add in whatever assets they could get for Westbrook, and you've got a pretty nice head start on a rebuild. It won't make up for losing Durant and Westbrook but it's better than playing out the string on Westbrook and ending up with nothing to show for either of your two previous franchise players. Of course, you could also try to keep Westbrook and use this young core to build around him. But the rumors and whispers will be abundant regarding Westbrook being the next to go. The Thunder aren't the only team dealing with fallout from this move. Boston Celtics: The Celtics' pie-in-the-sky plan was adding Durant and Horford this offseason. They accomplished part of that but Durant was the much bigger piece. It's not a damning blow for the Celtics. They'll be one of the top 3 teams in the East if healthy and have a nice 1-2 combination of Horford and Isaiah Thomas. Plus they still have assets to move to try to acquire another star this summer or next. Or they can just hope the Brooklyn Nets are bad enough or unlucky enough over the next two years to deliver an amazing draft pick to them to pick a new star. Either way, the Celtics lose out on a chance to become instant contenders but are much farther ahead than they were a couple days ago. Miami Heat: Miami now turns its attention toward making sure Hassan Whiteside doesn't pull a DeAndre Jordan and go back on his commitment, and figuring out this Dwyane Wade contract situation. If Wade calls Pat Riley's bluff and finds his way to a new team over this money squabble, would Whiteside decide to reevaluate his decision or would he embrace being the star of the Heat if Chris Bosh can't return to the court? This could get ugly, but it probably won't. Wade probably stays and Whiteside is young and very talented, and the Heat are fine. They just would've been a lot better with, you know, Durant. San Antonio Spurs: Their meeting with Durant wasn't fruitful but they're still in a prime position in the West. They're a good bet to be the second best team in the conference during the regular season, but will that translate to postseason success? They've lost to the Los Angeles Clippers and the Thunder in the past two years. Something tells me they'll be OK.
You don't want to get ahead of yourself and have a light show with a smoke machine while saying, "Not four, not five, not six..." but it's reasonable to think the Warriors just became a dynasty despite not winning this past season's title. This core is now locked up long-term, except for Steph Curry, and it's safe to say they won't have any issue bringing him back to what could be a team that has aspirations of three-peating during this new, adjusted era of Warriors basketball. Draymond Green is signed through the 2019-20 season, as well, and his price tag of roughly $17 million per season is now a bargain, considering that's just below Evan Turner money after this summer. Klay Thompson is signed through the 2018-19 season at roughly $17.8 million per season. Curry becomes a free agent in 2017 and will command a five-year max deal that will start out at roughly $34 million for the first season, depending on the final cap number for 2017-18 season. He'd then be signed through the 2021-22 season. So this won't be a short experiment. The Warriors need a starting caliber center. They need to find bargains and veteran minimum deals to flesh out the roster. Developing Kevon Looney would add much needed depth, as would rookie-to-be Damian Jones. But the Warriors would appear to be set for a half decade. How many titles, if healthy, would they be expected to win during that time?